Audiences scored HUGE this weekend at Premiere Cinemas' four Texas IMAX locations, as Christopher Nolan's Interstellar grossed over $20 million from IMAX locations alone worldwide, accounting for 27% of its entire gross. "Amazing results," said Bob Raposo of IMAX regarding Premiere's IMAX attendance for the weekend. "Audiences know the difference," added Martin Watson, Premiere's Director of Special Ops. "They go to other big-screen formats sometimes but when they want to see the movie the way the director intended they come to IMAX to see it." "Insterstellar is the ideal movie for IMAX and fits squarely within our wheelhouse," said Greg Foster, Senior VP of IMAX. "It features over an hour of footage specifically filmed with IMAX cameras, all combining to deliver an experience you can't replicate anywhere else." Director Christopher Nolan had previously used IMAX cameras in The Dark Knight trilogy. These sequences expand to fill the entire screen and deliver unprecedented crispness and clarity not available in non-IMAX theatres. "With huge thanks to Christopher Nolan, we are extremely excited that Interstellar has launched with record-setting results," added Mr. Foster. Big Spring-based Premiere Cinemas' CEO Gary Moore made the decision to bring some of the nation's largest and most-impressive IMAX screens to several select Texas markets, including El Paso, Lubbock, Bryan-College Station and Temple. "IMAX is an easy decision for movie-goers who demand the best," said Mr. Moore. 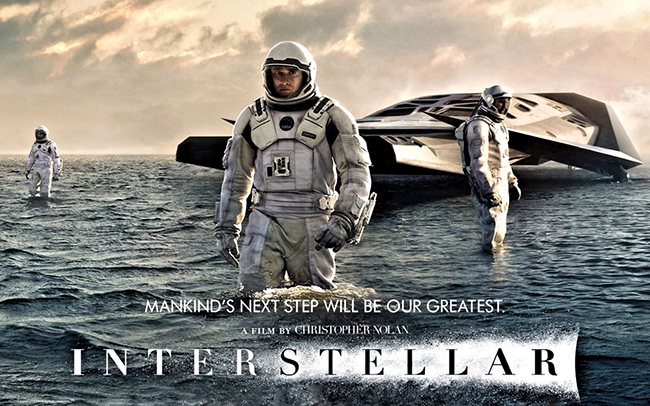 "Nothing else delivers the IMAX experience and customer satisfaction that goes with it. We're getting movie-goers from thirty or forty miles around just to experience it."